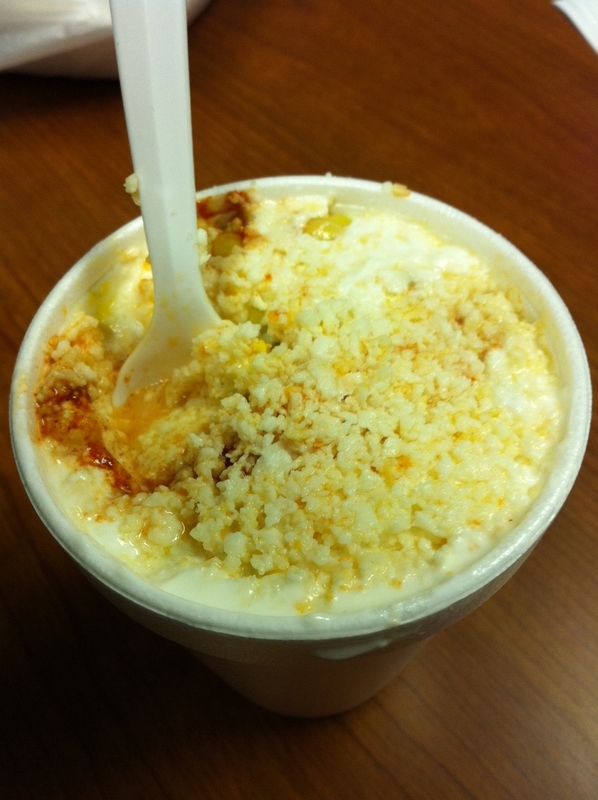 Elote is a perfect side dish to some Pastor tacos, my personal favorite from Fuel City. Basically Elote is corn kernels, crumbled cotija anejo cheese, cayenne pepper, mayo, chili powder, and lime juice. If you want to make your own, here is a recipe from Food Blogga. Next time you make a stop for gas station tacos take a look around and see if there is an Elote cart to add to your culinary experience. 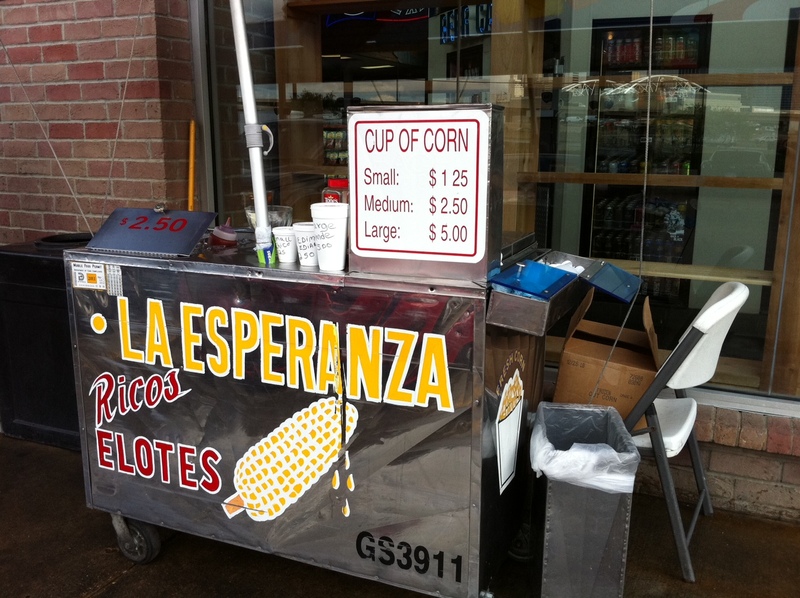 THE CORRECT NAME IN SPANISH IS: ” ELOTE EN VASO ” corn in cup. ELOTE,MAYONESA,CHILE EN POLVO,LIMON,QUESO DE NACHOS,Y QUESO RAYADO. How do I find the recipe for the homemade hot sauce? ?